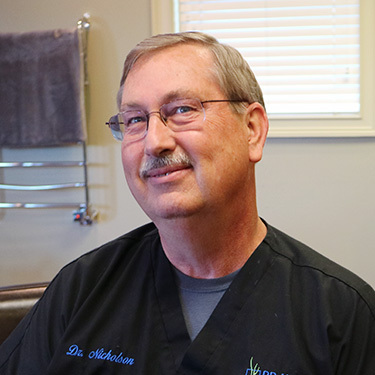 Since graduating from Life Chiropractic College in 1983, Dr. Nick has enjoyed a successful career. He had three thriving clinics in Georgia, which included MedPlus practices that combined medicine, chiropractic and massage therapy. He has worked with Pray Chiropractic in the Ringgold office since 2010 and enjoys not having to deal with the administrative aspects of operating a clinic! Over his years in practice, Dr. Nick has helped patients of all ages from kids to seniors. He finds it gratifying when they experience fantastic outcomes and show their appreciation with a smile and a thank you. One patient was so grateful to Dr. Nick as he was able to walk after not being able to stand up. Dr. Nick also helps those with sports-related injuries. He was one of the chiropractors who cared for the women’s weightlifting team during the 1996 Summer Olympic Games in Atlanta. Dr. Nick also prides himself on knowing most techniques, and he is an expert in the evaluation and treatment of various pain syndromes, disc injuries, sports injuries, and soft tissue rehabilitation. Dr. Nick and Faye have three sons, all of whom were homeschooled. In his spare time, he enjoys fishing and hunting with them. He also is involved in his church and has led a men’s discipleship group. Contact our chiropractic office today to book an appointment with Dr. Nick!